New revision for my Proto I/Os board. 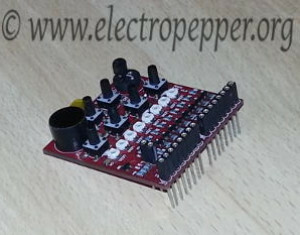 New and improved silkscreen and a new pcb manufacturer, DirtyPcbs, small review here. 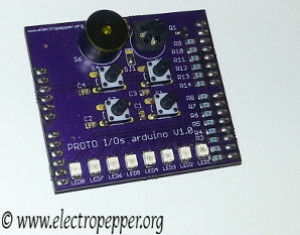 Another board with several I/Os, like the Proto I/Os arduino this board was designed to save you time on prototyping or learning new development boards by quickly adding extra LED's, buttons a buzzer and a temperature sensor. This is a project included in a series of projects ive decided to start, to reduce the hadware set up time for prototype developing. 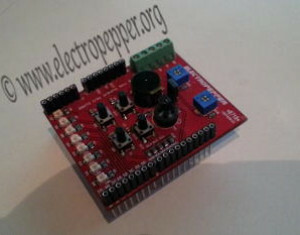 This one is a shield for the Arduino boards. 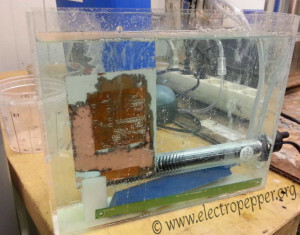 Ive decided to build a proper etching tank to make things more automatic since i got tired of putting my boards in a bowl and shake them, quite boring. 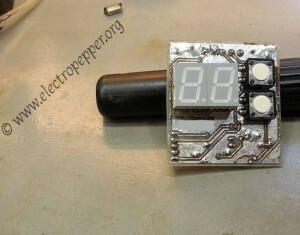 This is a simple digital counter with a serial rs-232 and a 7 segment display, i started this project to count items on some shelfs, but it can be used for anything, it is also, for the exception of the connectors, completely on SMD components.